The C++ Core Guidelines are a collaborative effort led by Bjarne Stroustrup, much like the C++ language itself. They are the result of many person-years of discussion and design across a number of organizations. Their design encourages general applicability and broad adoption but they can be freely copied and modified to meet your organization's needs. The aim of the guidelines is to help people to use modern C++ effectively. By "modern C++" we mean C++11 and C++14 (and soon C++17). In other words, what would you like your code to look like in 5 years' time, given that you can start now? In 10 years' time? 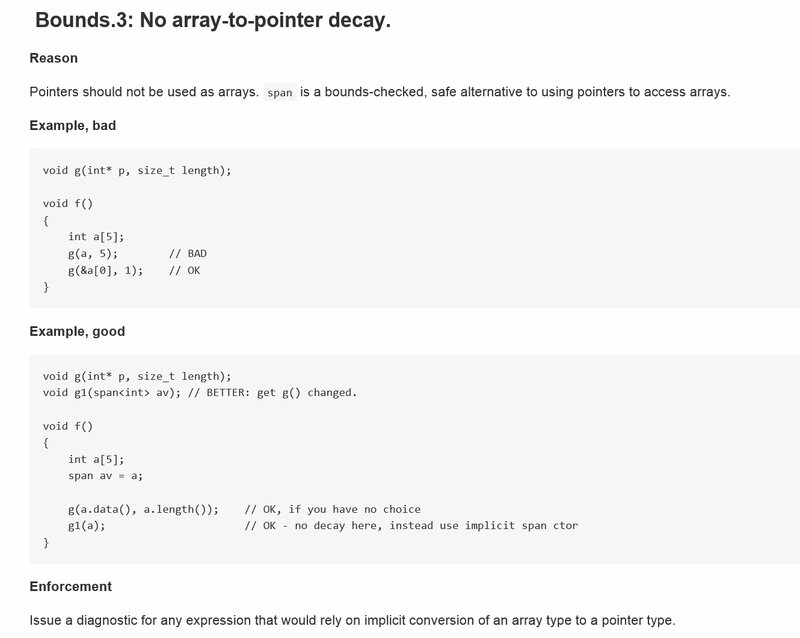 To me, these guidelines are the key to getting across my fundamental message that C++ does not have to be hard, scary, complicated, or dangerous. The language may still say “it’s your foot!” but the guidelines, and the tools they can drive, are quite the opposite. This guideline is part of a “profile” – a particular set of rules that are designed to be enforced and that are supported by tools. Well, when I say tools I might be overstating the case a little. There’s just one tool at the moment, but that could be enough! 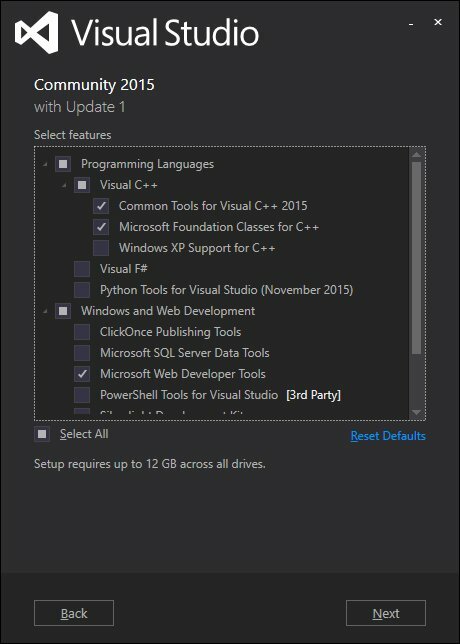 So once you have Community Edition or some edition of Visual Studio, make a console application and put in the two bad lines of code. Build it and then also run static analysis on it (On the Analyze menu, choose Run Code Analysis, On Solution.) You won’t get any warnings or errors. That’s your pre-guidelines life. You’re doing something inappropriate and nobody is telling you. Where it says "type.5" and there's a link, that's to the specific rule in the "type" profile that this code breaks. And where it says "bounds.3", the same - I showed a picture of bounds.3 up above. Isn’t that great? Come on, it’s great! The tool will add more rules as we move through 2016. I’m going to have a lot more to say about the Guidelines as well. But this is a great place to start.Why not point it at some of your own code and see what happens?